Other Info PLEASE REPORT SIGHTINGS ONLY Do not attempt to approach Bess as she has become extremely nervous and is likely to run off. 2019-03-05 22:35 DogLostHelen - Regional Co-ordinator East Anglia. Have posted in the dogslost facebook group & it was suggested this could be Bess - my mum spotted a black labrador-type dog in a field along Westley Lane in Horringer (left-hand side as you head into Horringer) looked like the dog was alone but she wasn't able to stop. LOST OR DUMPED - Found on the Whinburgh Road B1135... Norfolk. Picked up at midday on Saturday by the railway bridge. Badly cut back legs. They are not chipped. Still not found owners. The dogs are with the local warden. Anyone wants the two labs if not claimed after Saturday then contact Norfolk Dog warden next week! Two black labs keep coming up as lost on Facebook could these be the pair .Think it was an old post . do you think a humane trap can be put in the last place Bess was seen or at least in the place she went missing with food? Can posters be dropped off at local schools and colleges. Put into post boxes so they find their way to the sorting office and posters into as many cars as possible Has scenting trails been done. 2018-04-22 10:24 DogLostHelen - Regional Co-ordinator East Anglia. 2018-04-14 18:35 DogLostHelen - Regional Co-ordinator East Anglia. Thanks Amy, I have removed the contact number. To Admin please can you remove one of the contact numbers from Bess's poster. Female picked up in Notts chipped to out of area and tel no. not valid. Worth a look. 2018-04-02 21:03 DogLostHelen - Regional Co-ordinator East Anglia. 2018-04-01 22:42 DogLostHelen - Regional Co-ordinator East Anglia. 2018-04-01 09:57 DogLostHelen - Regional Co-ordinator East Anglia. Theres still no 100% confirmed sightings in 16 days now. 2018-03-30 18:26 DogLostHelen - Regional Co-ordinator East Anglia. Thanks Jane, this dog has been checked and sadly not a match for Bess. Please let us know if you are planning further searches, more than happy to join in to cover some extra ground - if not then perhaps we ought to do one over the Easter period. 2018-03-29 11:26 DogLostHelen - Regional Co-ordinator East Anglia. 2018-03-27 17:32 DogLostHelen - Regional Co-ordinator East Anglia. Victoria, I don’t know if there is another search planned yet, I think people are searching as and when they have the time and spreading the word by speaking to people. Not sure if what she is like around other dogs but I do know she is a nervous timid dog. 2018-03-24 16:54 DogLostHelen - Regional Co-ordinator East Anglia. Sadly no sightings today from the organised search, please continue to look out for Bess and contact the owner immediately if you do see her. 2018-03-24 09:33 DogLostHelen - Regional Co-ordinator East Anglia. As we’ve had no sightings I’d like to organise a search, the thought of her injured or trapped plays on my mind heavily,and split the groups into sections. I know this is a big ask but if anybody is available Saturday between 11 onwards please let me know. 2018-03-23 18:28 DogLostHelen - Regional Co-ordinator East Anglia. 2018-03-23 18:10 DogLostHelen - Regional Co-ordinator East Anglia. 2018-03-21 21:11 DogLostHelen - Regional Co-ordinator East Anglia. Possible sighting of Bess today (21st March) at 14.20 running from Coronation Place into the woods, this is very close to where the owner lives. 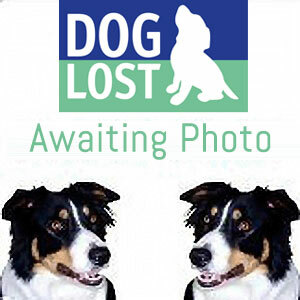 2018-03-20 14:02 DogLostHelen - Regional Co-ordinator East Anglia. 2018-03-19 07:21 DogLostHelen - Regional Co-ordinator East Anglia. Sightings have dried up in the last 48 hours or so. This could be down to the recent cold weather. If anybody sees her out and about could you please contact me with the location. 2018-03-16 19:00 DogLostHelen - Regional Co-ordinator East Anglia. Unfortunately people have been searching for Bess and have been going down there with leads and calling her which has spooked her. If you do see Bess please walk away and leave her alone. 2018-03-15 11:56 DogLostHelen - Regional Co-ordinator East Anglia. 2018-03-15 07:34 DogLostHelen - Regional Co-ordinator East Anglia. Thunderclap for Bess, please support and share..
2018-03-12 08:11 DogLostHelen - Regional Co-ordinator East Anglia. Possible sighting at 7:10 am (12th March) on the horse field adjacent to Hiams Veg Packing Plant on London Road Brandon. If you do see Bess please contact the owner immediately, please do not try to catch her. 2018-03-09 11:30 DogLostHelen - Regional Co-ordinator East Anglia. 2018-03-08 18:30 DogLostHelen - Regional Co-ordinator East Anglia. There has been several sightings of Bess in the Santon Downham area, the last sighting was yesterday (7th March), please if you in the area look out for Bess and call the owner immediately if you do see her as she is very timid. 2018-03-06 07:52 DogLostHelen - Regional Co-ordinator East Anglia. Sorry to see that BESS MISSING ONE YEAR is missing.